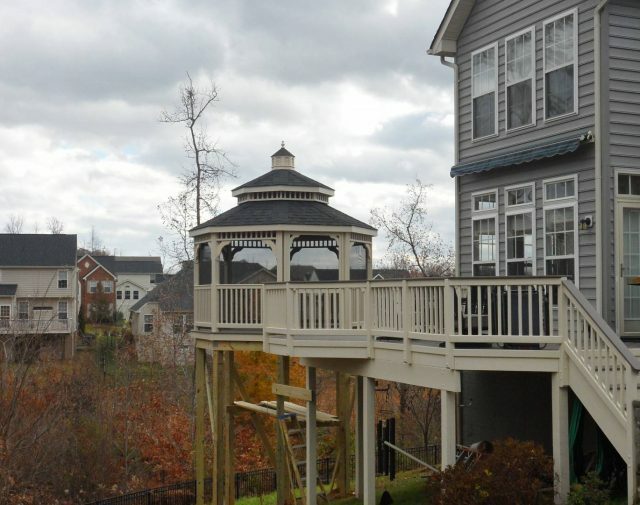 We get it, you are a busy, working person that doesn’t have time to come home evenings to a high maintenance home. 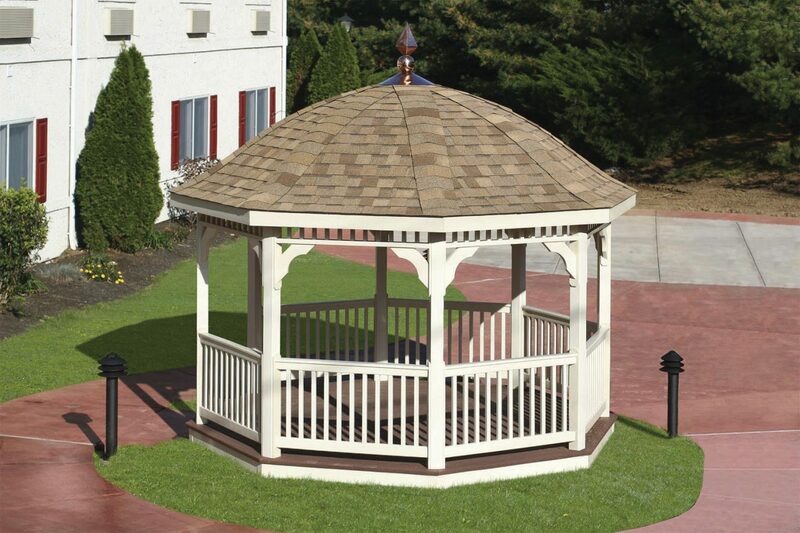 That’s why we created our low maintenance vinyl gazebo using PVC sleeves to cover the wooden structural posts. 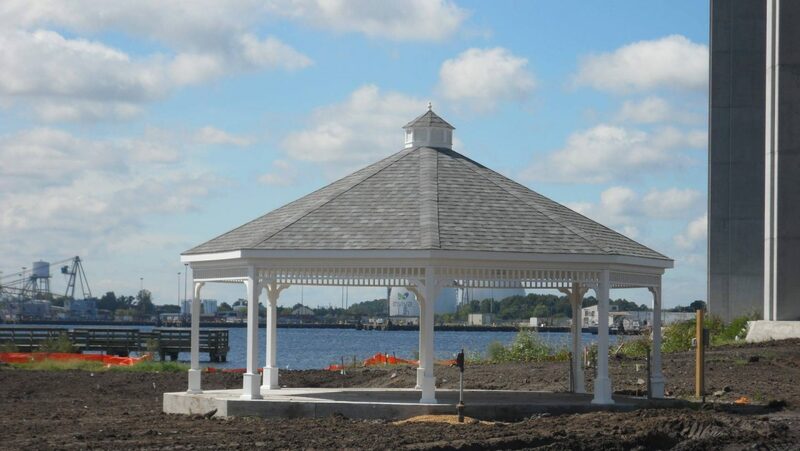 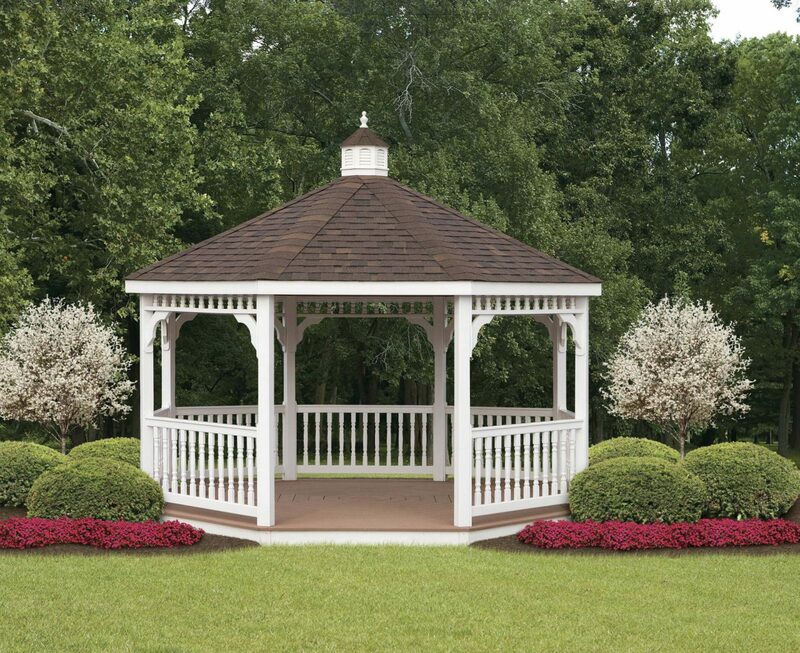 Our top and bottom gazebo rails are also made from PVC materials. 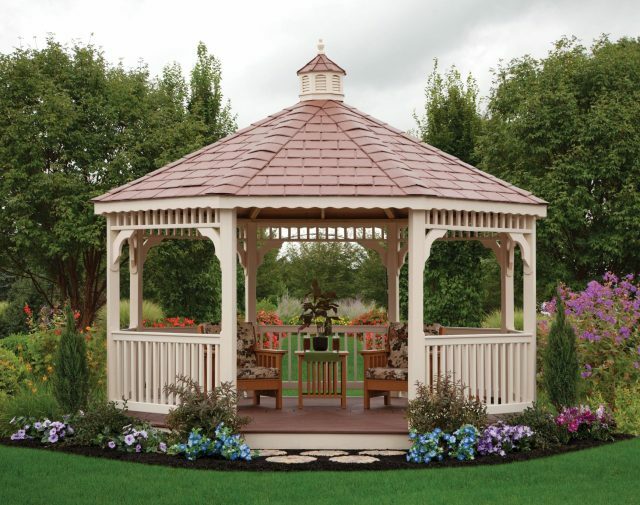 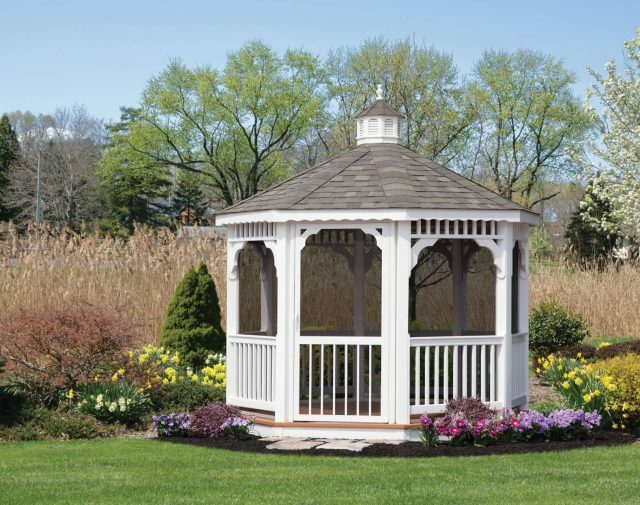 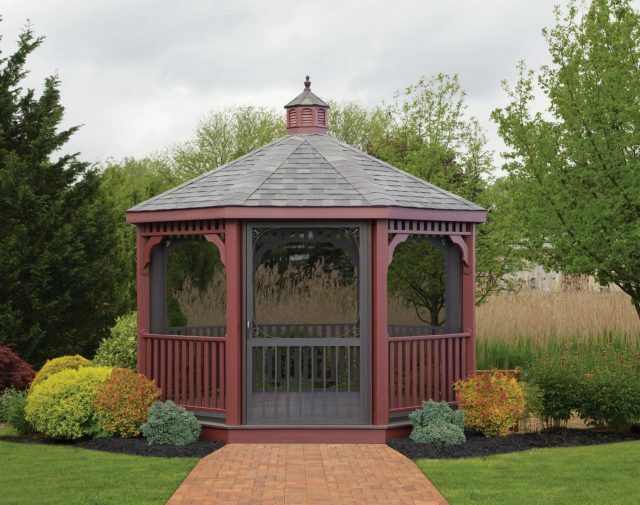 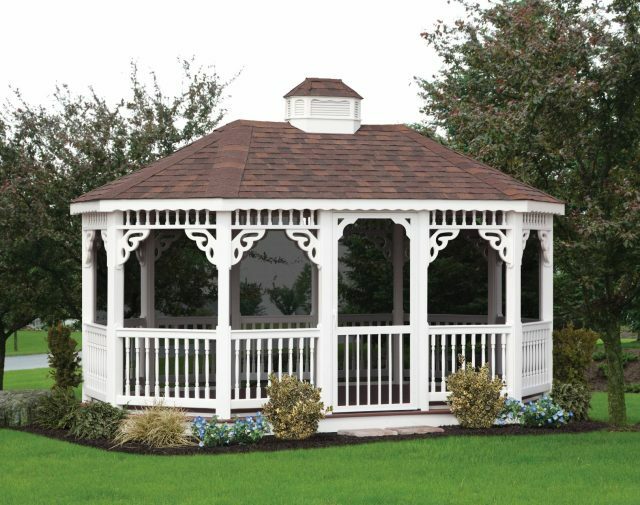 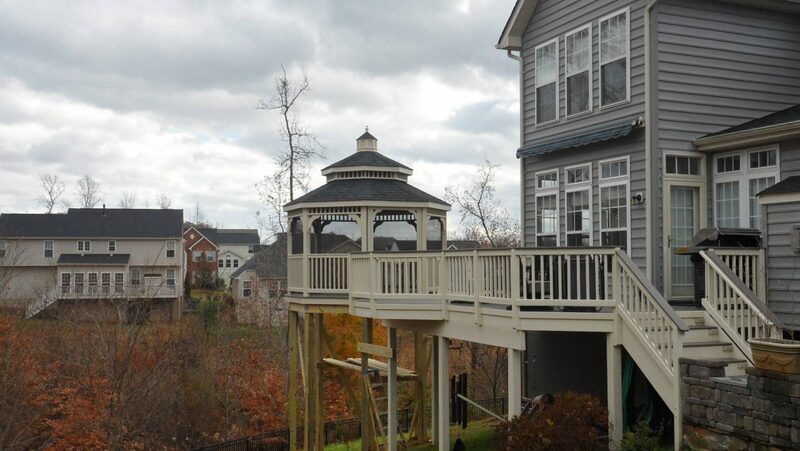 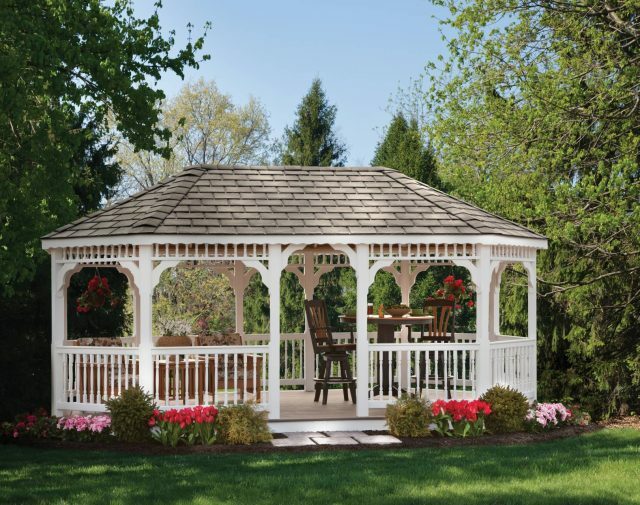 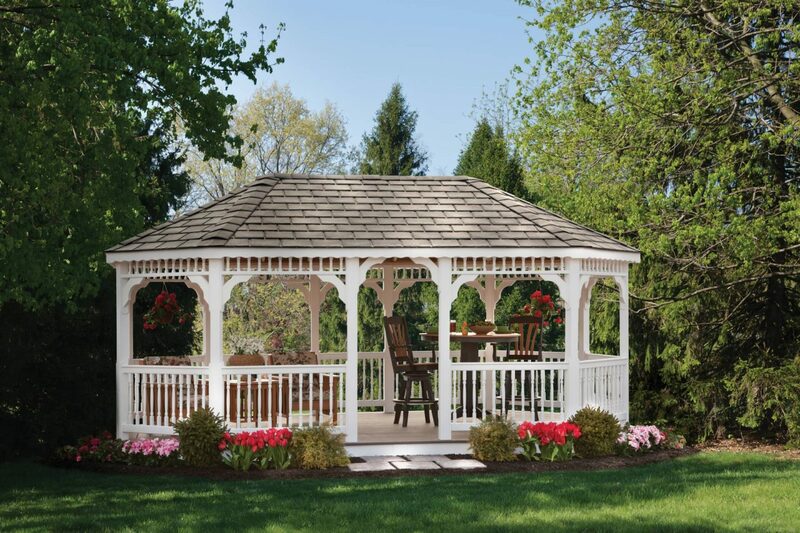 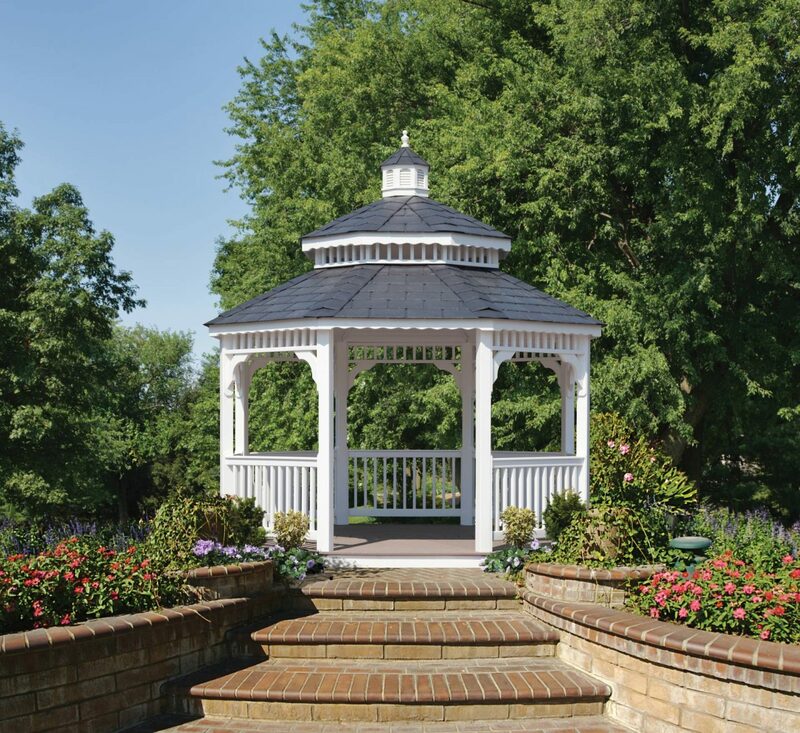 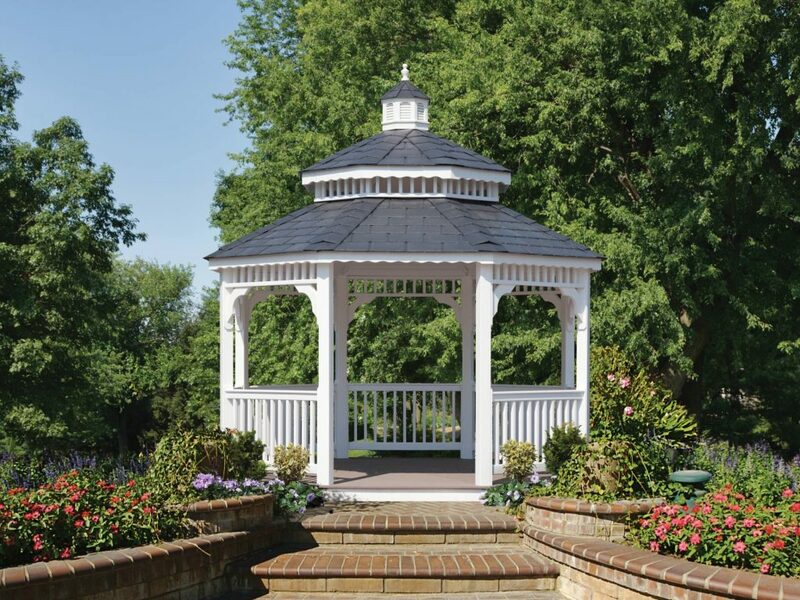 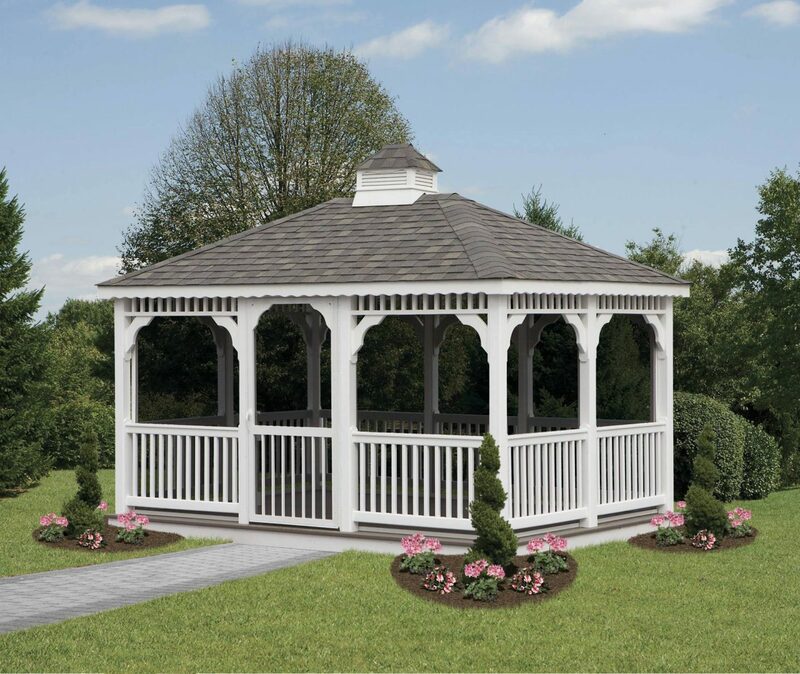 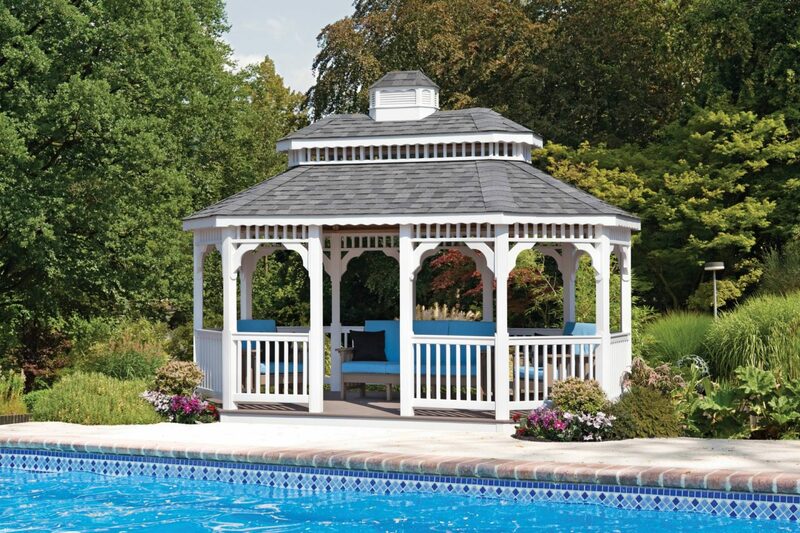 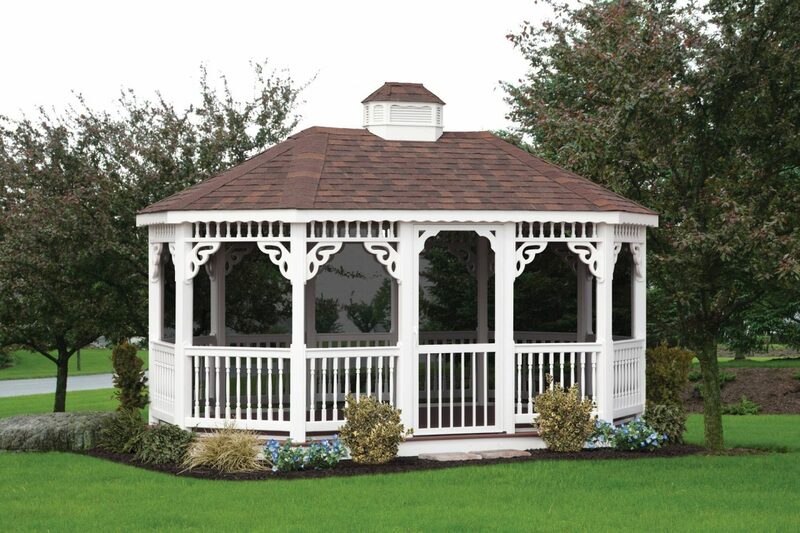 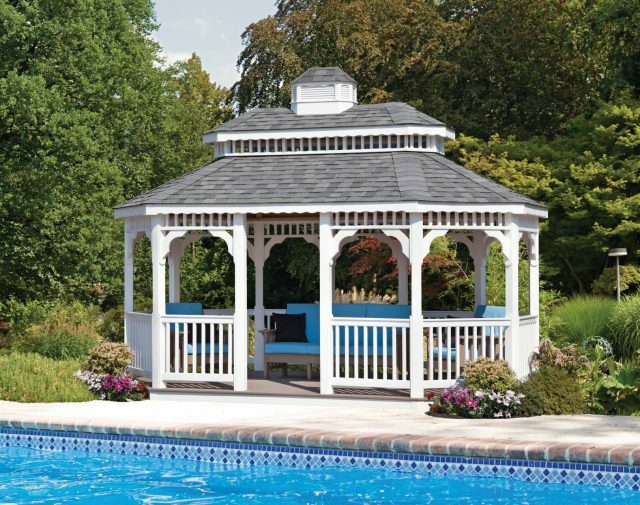 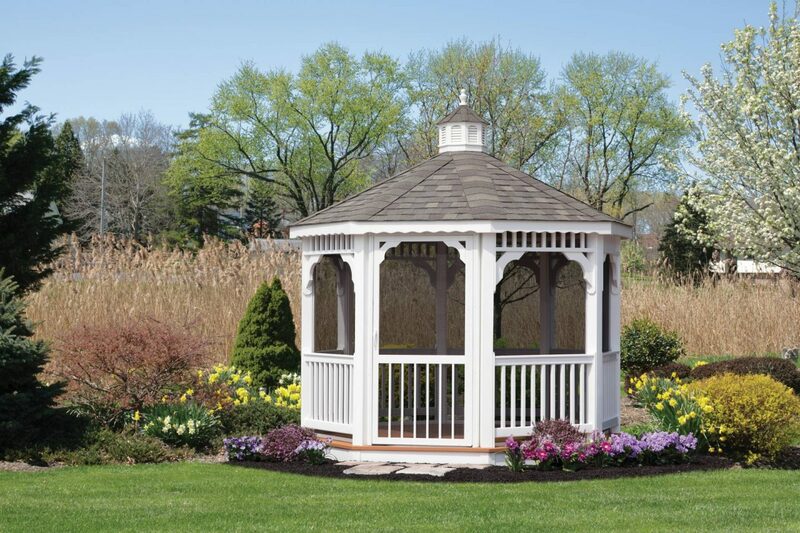 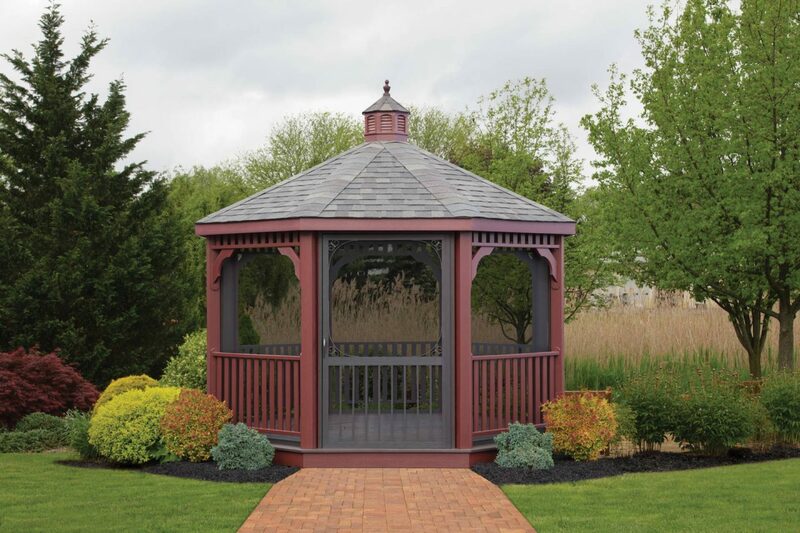 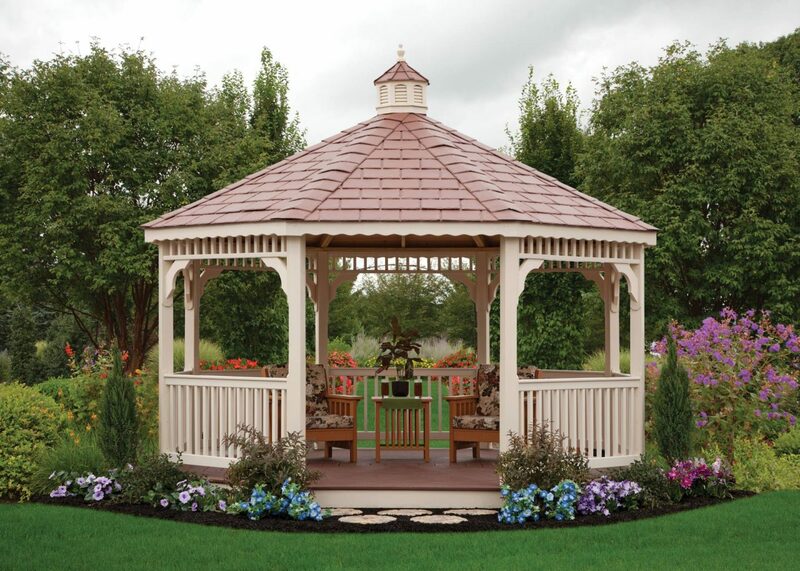 Therefore, it is a structurally stable gazebo, with the clean look that adds class to your backyard retreat, with little or no work on your end! 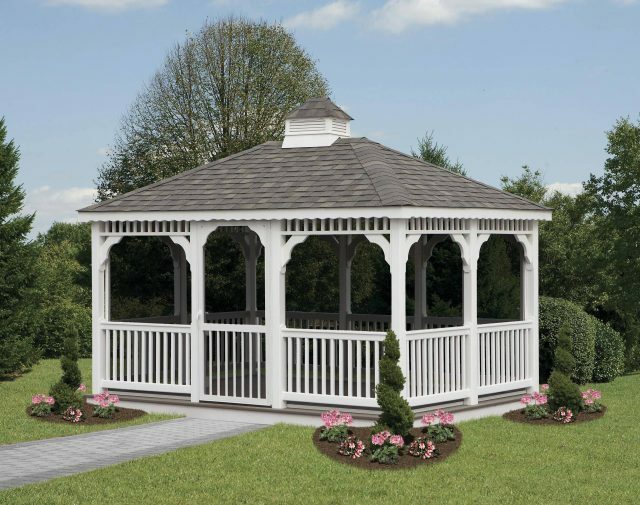 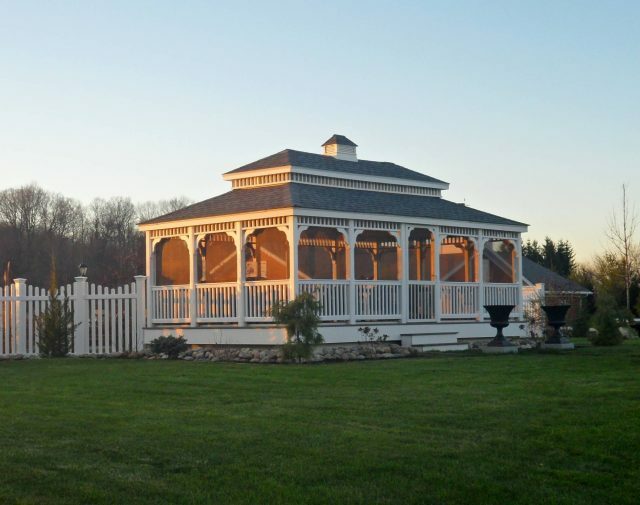 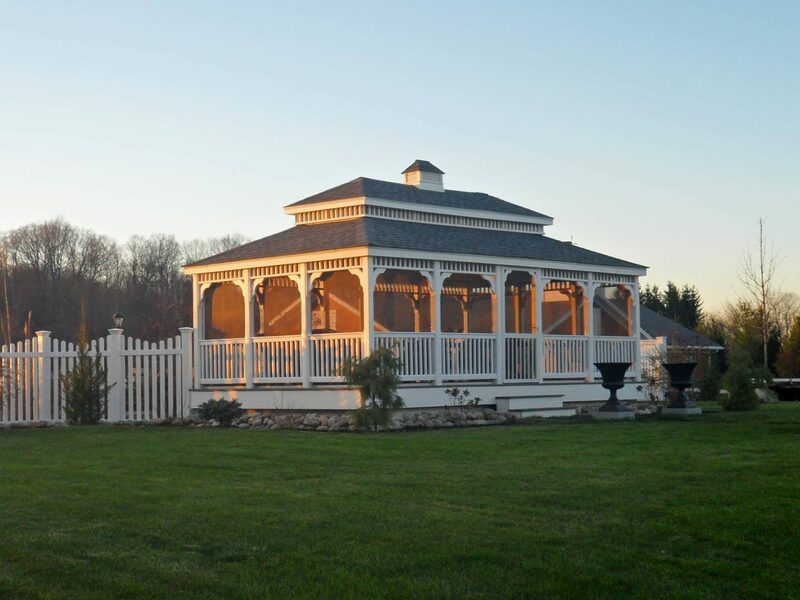 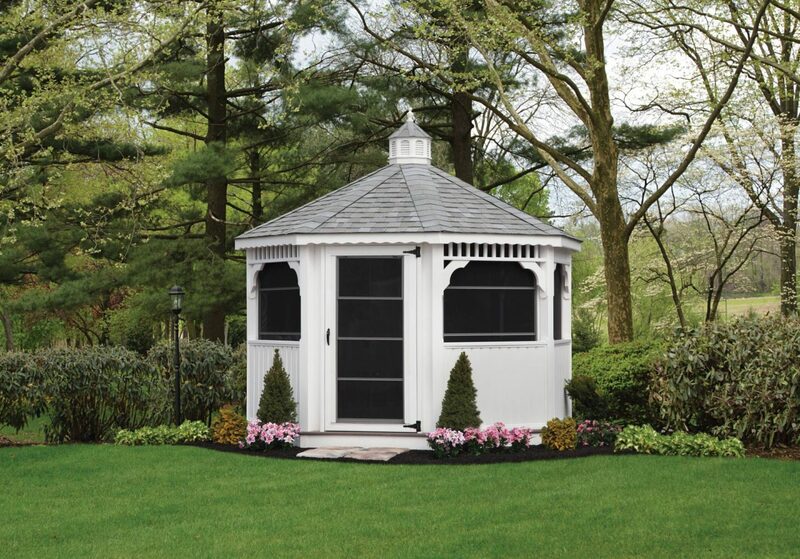 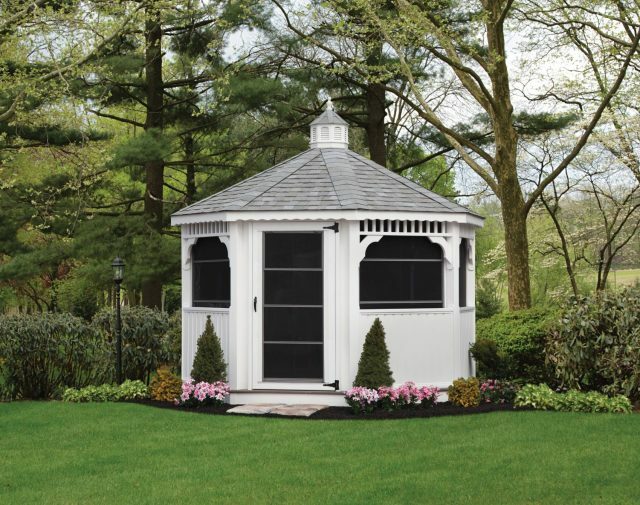 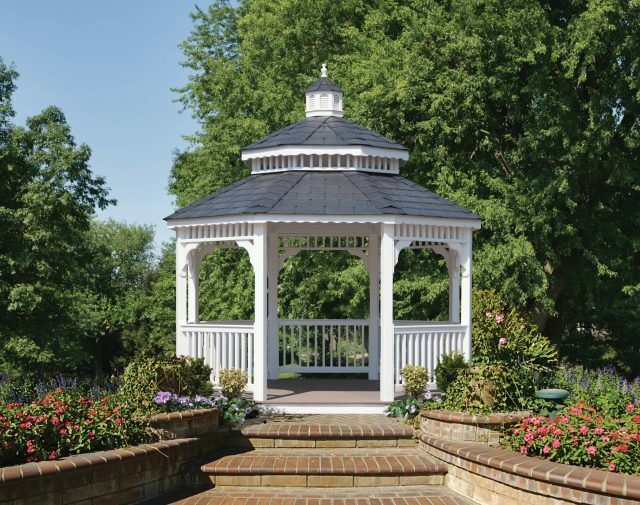 Our standard white vinyl gazebo, built with the Amish quality you can count on, looks sharp on patios against any color house. 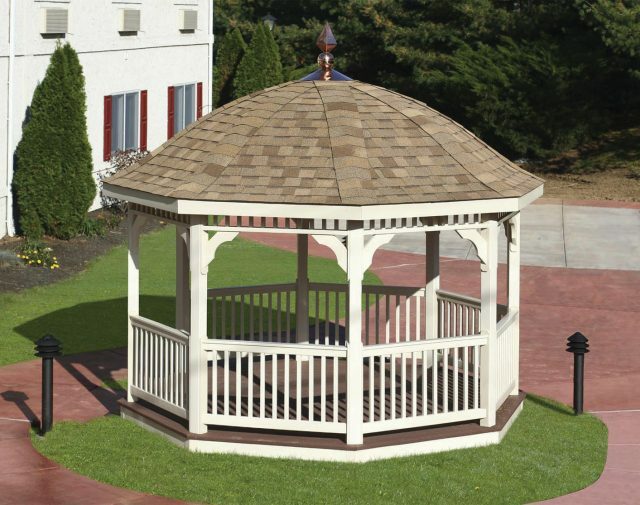 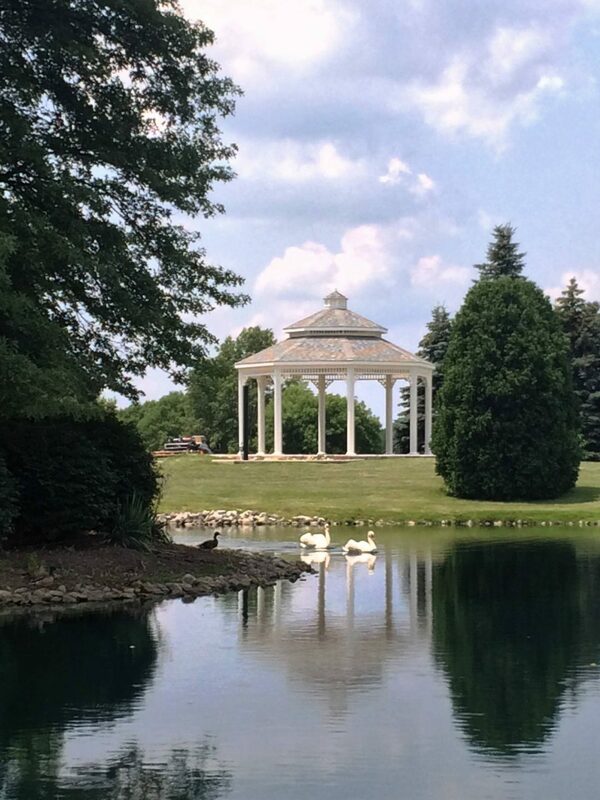 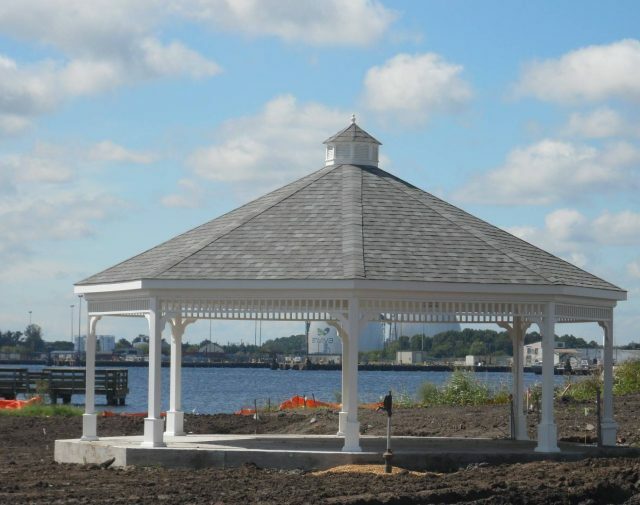 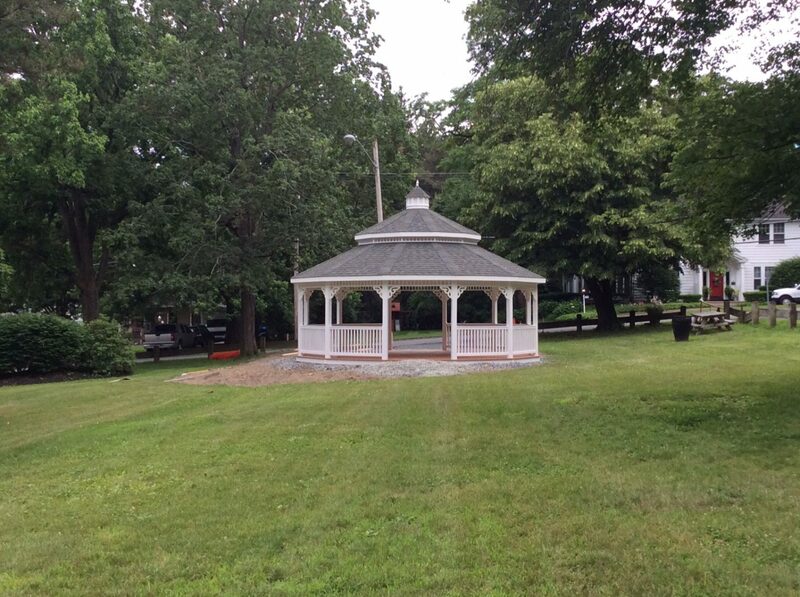 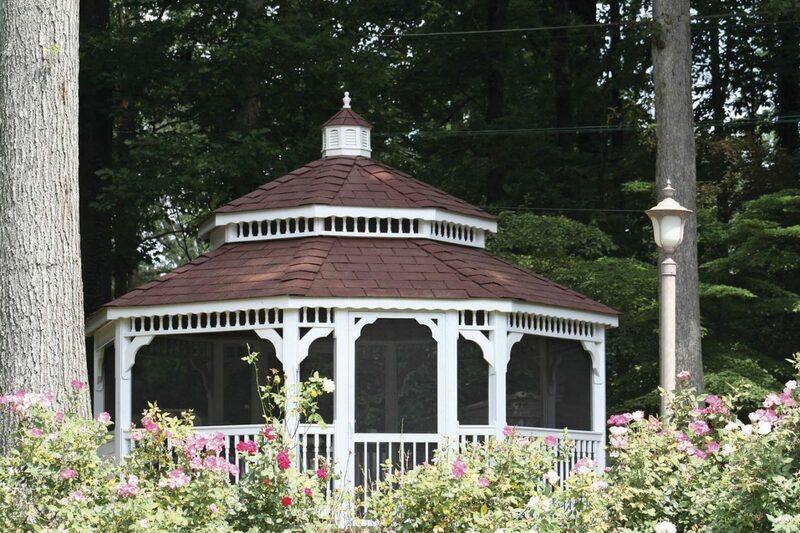 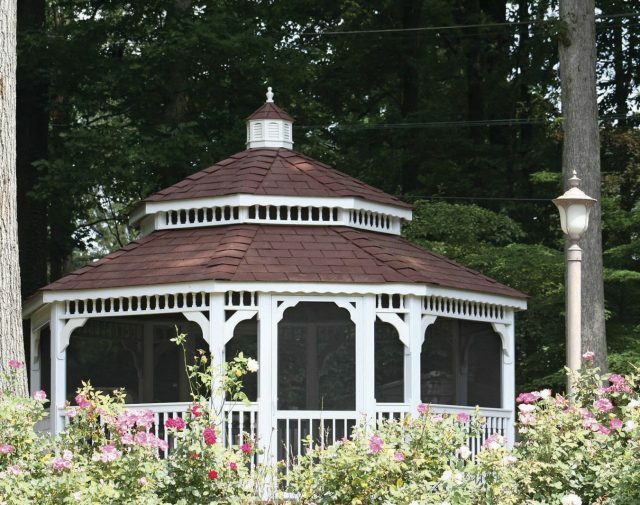 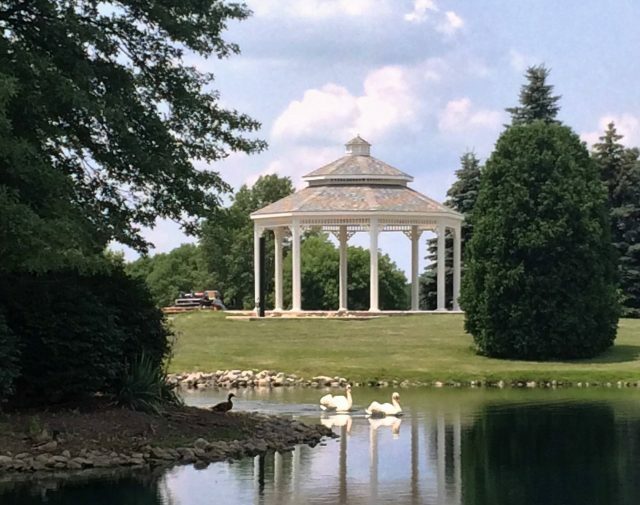 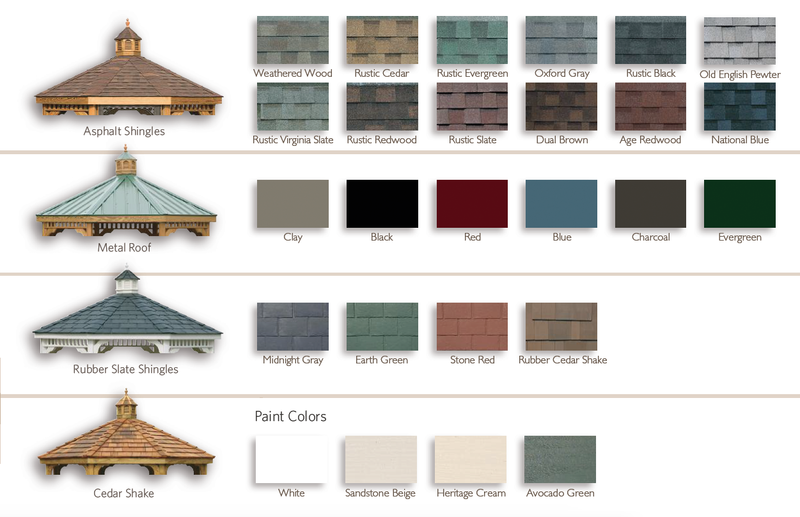 Get a Free Vinyl Gazebo Quote!